The best thing about Alaska sourdough starter: It usually comes with a story. In a couple weeks of sourdough research, I've heard about all kinds of grandmother legacy strains with links to prospectors' backpacks and tent city stoves. But the biggest discovery: The story doesn't actually matter. 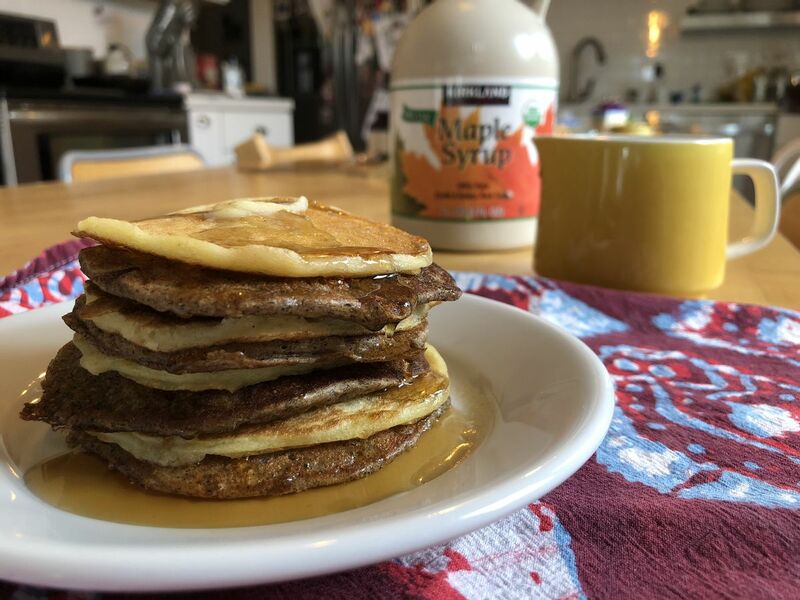 You can make great pancakes with starter you whip up in your kitchen over the course of two days. In the old recipe books in the archive at Anchorage Museum, I found that the earliest sourdough pancake recipes, from the '20s and '30s, don't make a big deal about the provenance of their starters at all. 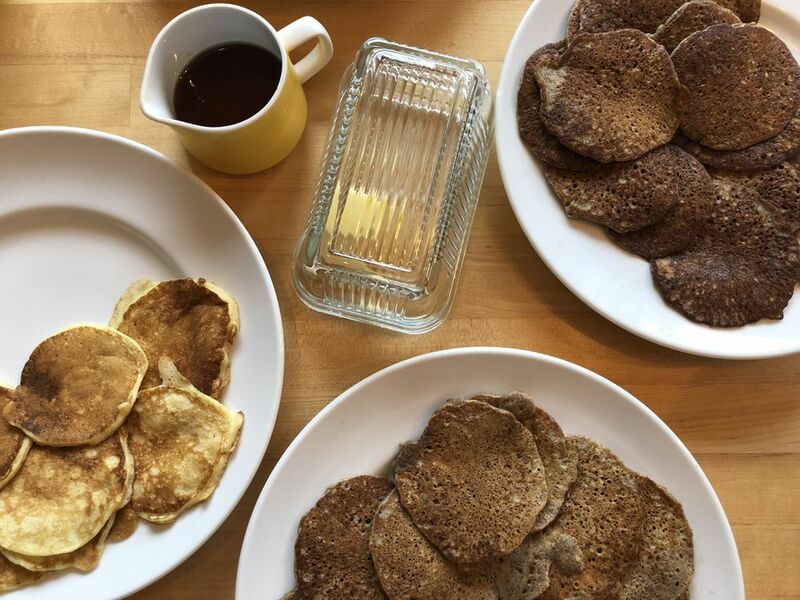 Turns out back in the day, pancakes were often just a way to use up old, spent bread starter. The sour batter serves as a flavor rather than a leavening agent. Its acids react with baking soda, giving loft. Vintage recipes also make sponges out of all sorts of whole-grain flours, including buckwheat and corn. According to this 1971 New York Times profile of now-deceased Talkeetna sourdough maven "Evil Alice" Powell, you don't need your grandma's starter. "I can make one in 48 hours," she told the Times. "All it takes is flour, water, sugar and yeast. You can tell it's ripe by the smell." And: I have a couple tricks for you. First, if you don't have starter and don't want to make it, many bakeries will give you a cup. I'm a fan of the sourest sourdough for pancakes. A slow, warm ferment can do this. So can using a whole-grain flour. On the recommendation of Carlyle Watt, executive chef and head baker at Fire Island Rustic Bakeshop, I tested a starter made with with rye flour. It was fantastic, especially with whole-grain flour. Another personal preference: I like my pancakes on the thin side, with crepe-like batter. I thinned my batter using a splash of plain soda water for extra bubbles. Mix the flour, water and sugar until smooth. Then add to the starter. Let sit in a warm place at least 12 hours or as long as 48 hours. Starter should smell sour and be somewhat watery. If you're using cast iron, put a well-seasoned pan on medium heat to get nice and hot. Stir the eggs and butter into the starter. Sprinkle soda on the mixture, stir to combine. You should see the starter gain loft. Thin, if you like, with soda water. Cook on a hot, nonstick griddle at medium heat.